India has decided to ease visa rules for citizens of Thailand as it introduced a five-year multiple-entry tourist visa as well as a five-year multiple-entry business visa for them. Under both visas, Thais would be permitted to stay for up to 90 days for every visit. According to The Nation, an express service has been introduced, which ensures that visas would be issued in one working day. Meanwhile, India will have separate facilitation desks and immigration counters in place for medical visa holders. Initially, this service would be made available in Bangalore, Chennai, Delhi, Kolkata, Mumbai and Hyderabad. In addition, the minimum salary that Thai teachers need to get employment visas in India has been decreased to INR910, 000, or 471,000 baht, per year at certain universities and educational institutions. Thais who teach at Nalanda University and South Asian University will, however, not be subject to the minimum salary requirement for their employment visas. 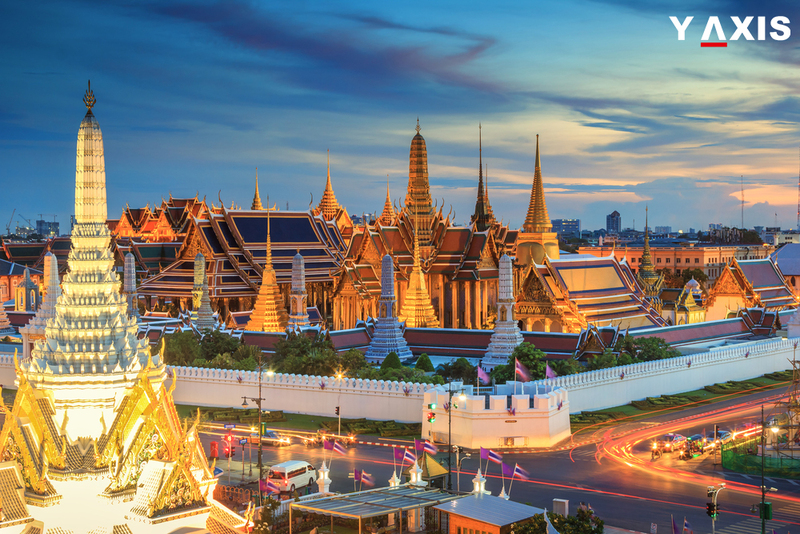 The Indian Embassy in Thailand capital, Bangkok, will issue up to 50 intern visas per year to Thais who take up internships at Indian educational institutions, companies and NGOs (non-government organisations). Thai filmmakers will also be encouraged to use a film visa for movie shoots. E-visas will also be offered at the Indian ports of Cochin, Chennai, Goa, Mangalore and Mumbai for the benefit of tourists arriving in the South Asian country on cruise ships. If you are planning to travel to Thailand, contact Y-Axis, India’s premier immigration consultancy company, to apply for a tourist visa from one of its several offices located all over the country.